Back in July I ordered Rescue Beauty Lounge's nail polish in Pui Mosso, and I've been anxiously anticipating its arrival ever since! 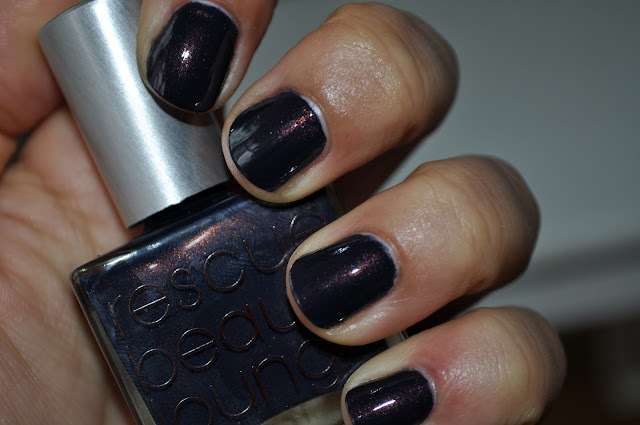 Pui Mosso is one of four new shades released in the Firebird collection by Rescue Beauty Lounge. Pui Mosso is a inky black blue with a sunset copper/orange shimmer, and it's unlike any color in my collection. Sadly, unless outdoors or in direct light, you won't see much (if any) of that coppery orange shimmer. So, to show case Pui Mosso's uniqueness, and to keep it from looking like another murky blackened blue polish (which still would be nice), I'm going to have to MacGyver some kind of wrist-attaching, flashlight device to shine directly onto my nails in order to get that lovely russet shimmer to show. 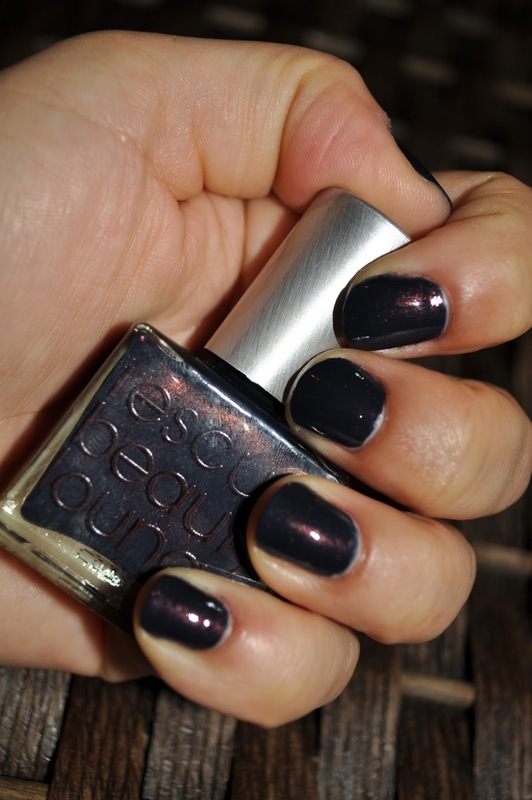 Rescue Beauty Lounge nail polishes apply like a dream and Pui Mosso is no exception. This polish is basically opaque in one coat but I applied three in order to achieve the same colors as in the bottle. Pui Mosso has to be one of the most Difficult polishes to photograph; the things (and positions) I did to try to capture this polishes true shade. I love Pui Mosso, but I hate photographing it!!! This nail polish REALLY needs to be seen in person to truly appreciate all its glory.